(Name : NF 7204 7221) Sithean Eaval stands at the N end of Loch Eaval on a slight elevation called Cnoc Eaval. 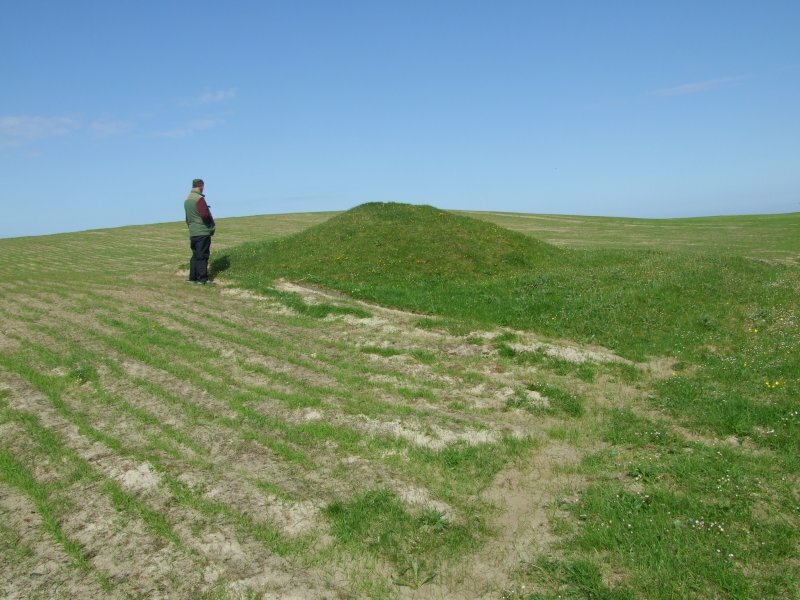 It is a small green mound bearing a strong resemblance to Sithean Altair (NF77NE 9) which contained LBA cist burials. Sithean Eaval is a small grass-covered earth-and-stone mound, 8.5m N-S by 6.5m E-W and 1.7m high, at the foot of the eastern slope of Knock Eaval. It bears no evidence of antiquity. Visited by OS (J T T), 16 June 1965. 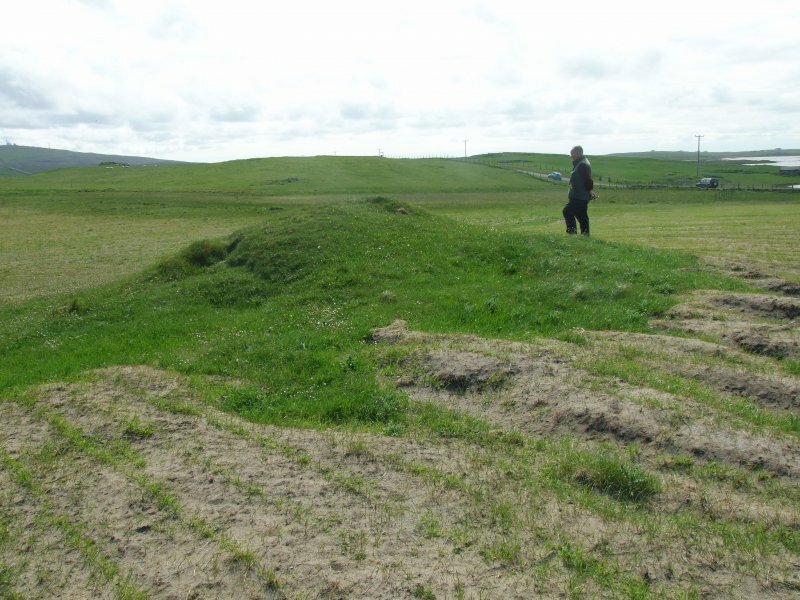 Previously identified as a probably natural feature, this grass-grown mound seems to be out of place within the natural topography and it may, therefore, be a barrow. It measures 7.5m from N to S by 5m transversely and up to 1.3m in height, but its western side has clearly been truncated by ploughing. Visited by RCAHMS (JRS, ATW), 31 May 2012.